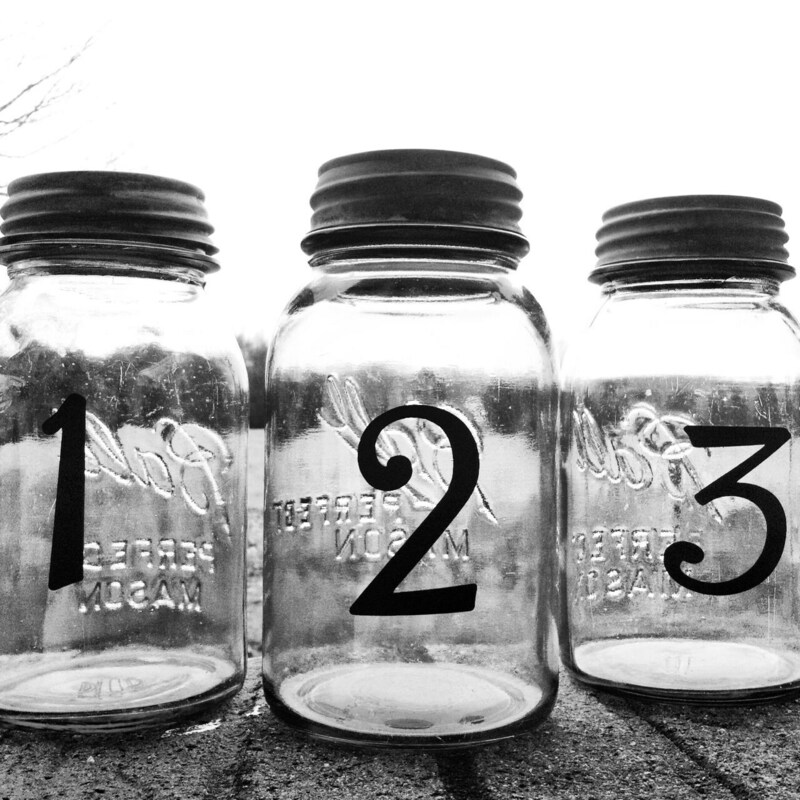 This listing is for vinyl table numbers only.. No JARS.. The vinyl numbers pictured are 3" high. These vinyl numbers will arrive on a sheet of black vinyl pre-cut ready to be applied to your centerpieces. Please convo with any questions.! Just what I was looking for, for my table numbers. I havn't stuck them on yet, but I'm sure they will be fine.